"Cosmic Kids" is a fun, three-level Senior ABC course written especially for students in Greece and Cyprus. Young learners will enjoy learning English through animated stories, interactive gaming, songs, blogs, plays and projects while following the trail of the pet thieves. "Cosmic Kids" is fully supported with state-of-the-art digital components that learners at this age love to engage with. The course ensures that all skills are integrated within the English language teaching syllabus, while giving special attention to writing and grammar. 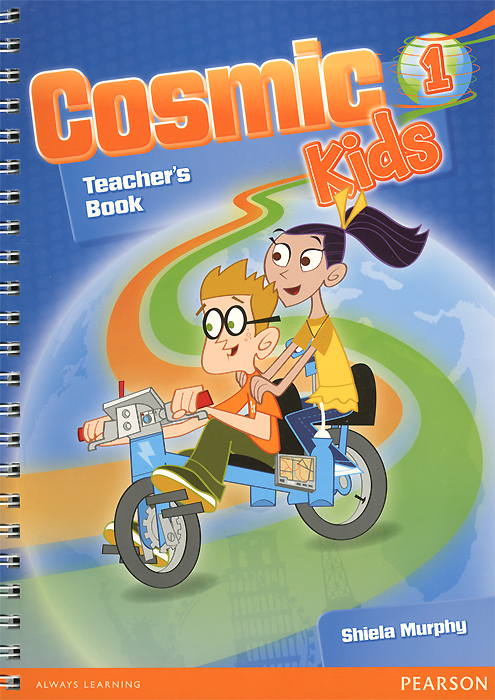 Cosmic Kids Teacher's Book includes… Full colour, interleaved Students' Book pages; Full support on every section of the Students' book; Answers justification for reading and listening sections; Practical notes for using the interactive whiteboard software; Extra quizzes; Extra speaking practice and extra writing practice with models.